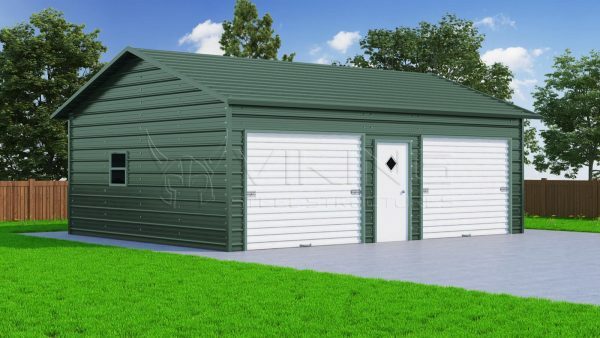 Our boxed-eave roof metal garage is also quite popular, and many of our customers prefer the aesthetics of this roof type. 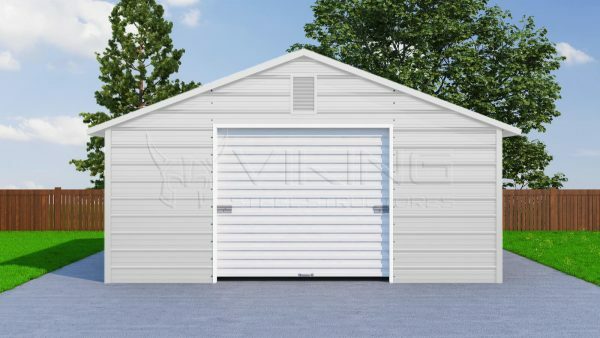 This type of garage roof has an A-frame design with horizontal edges, giving it an appealing appearance from the curb. End roof trim and eve trim ensure that water is quickly routed away from entrances to your metal garage, while horizontally installed roof panels do a good job of holding a moderate amount of snow. Opt for this roof style if you live in a moderate climate where snowfalls are abundant, but winter is not extreme. Boxed Eave roof styles are stronger than its regular variant. All of our metal structures are made up of galvanized steel with many customizable options. 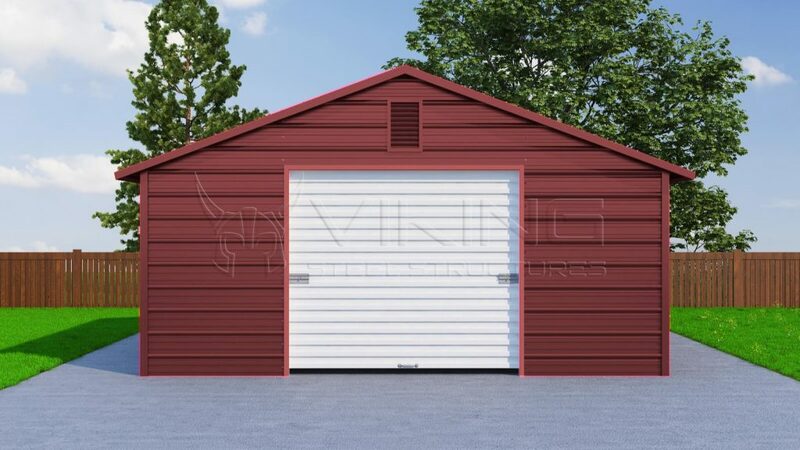 Our Garage doors comes with 4 color options; White, Barn Red, Evergreen and E. Brown. However, the certified doors are only available in White color for you. 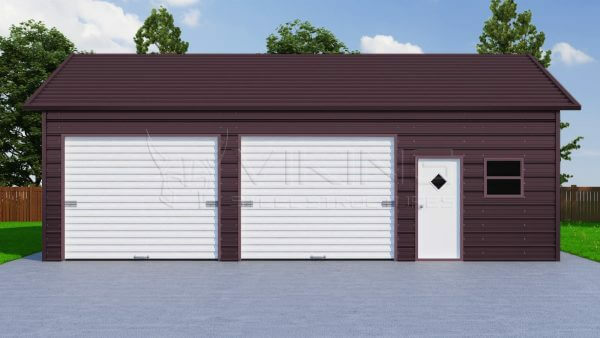 At Viking Steel Structures, we have many garage doors options available as mentioned below. You can customize your garage with the options available or to know more you can get in touch with our building experts now!